Are you looking for one application to handle all your digital media needs from podcasts to torrents to Internet TV? 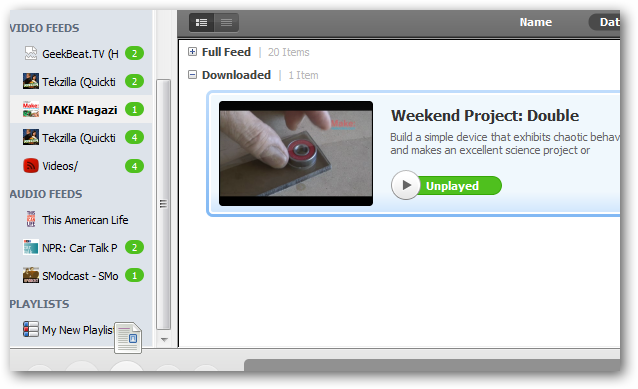 Today we’ll take a look at Miro, a video player and podcast client that can play almost any media file. Miro is a cross platform application that runs on Windows, Mac, and Linux. We’ll be using Miro on Windows 7, so your screens may look slightly different. 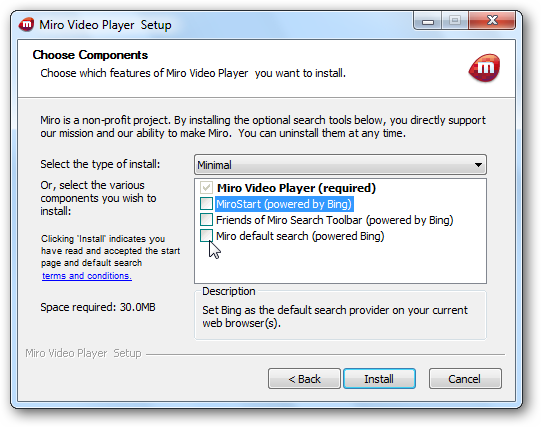 Download and install Miro Video Player. You find the download link below. You’ll want to pay close attention because Miro asks you if you want to install a handful of search features with the player. You can easily opt out by deselecting any or all of the options. Choose components to install and click Next. 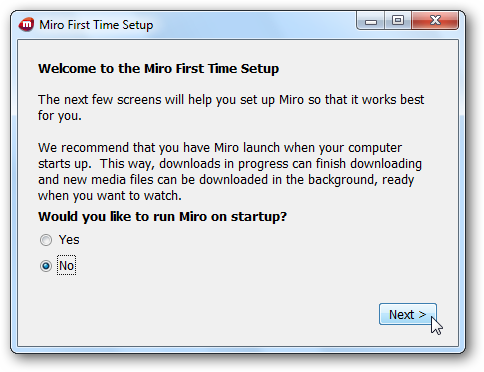 The first time you run Miro you’ll be prompted to run the First Time setup wizard. Choose if you’d like Miro to run on startup and click Next. 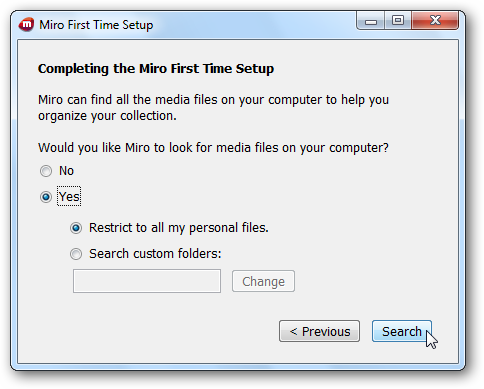 Miro will ask if you’d like to look for media files. Select Yes to have it search the entire computer, or choose specific folders to search. 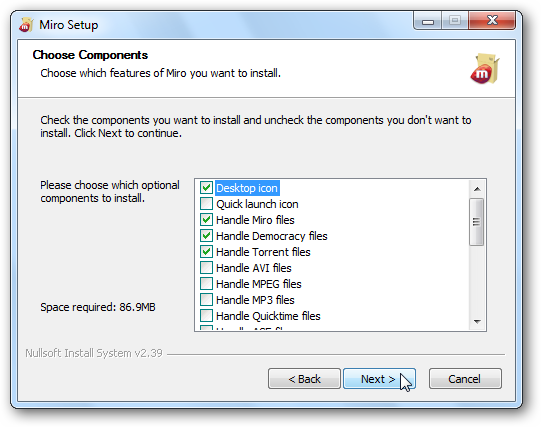 If you don’t have Flash installed, Miro will prompt you to install it but it isn’t essential. 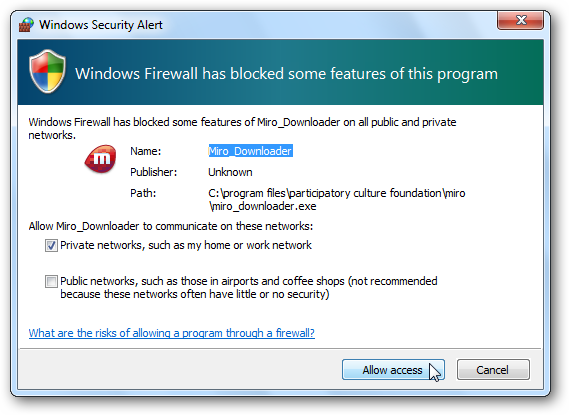 If you are running Windows Firewall it may ask if you want to block some features like the downloader. If you have no plans to use the downloader portion of Miro you may click Cancel, otherwise select Allow access. Miro features a main browser window, a sidebar where you’ll find your saved feeds, media, and websites, and playback controls at the lower left. You can search for online content from sites like Hulu. We found the search to be a bit finicky. For example, searching Family Guy returned no results, but searching “Family” returned Family Guy, The Addams Family, and dozens of other titles. Select either Add Site, or hover over the image and select Add to Sidebar to add the title. Select the show from the sidebar to begin playing. Your show will stay on the sidebar so you can stay on top of all the latest episodes. You can also browse for content with the Miro guide. 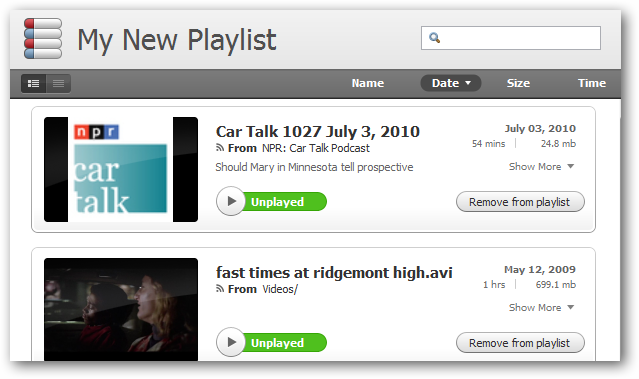 To add a video podcast feed, simply find a podcast to subscribe to and select Add Feed. Episodes are automatically downloaded to your PC when they become available. The show will then appear under the Feeds on the sidebar. The number to the right will indicate how many unplayed episodes you have downloaded. Click on the Play button when you are ready to watch. Once you’ve played the podcast it will be kept for 6 days before being deleted, although this can be changed in the Preferences. If you wish to keep the episode, select Keep on the lower menu bar. Then type in the feed URL, select Video or Audio, and click Create Feed. You can even download torrents by entering the feed address here. Your new feed will appear on the sidebar and begin to download episodes. Select Playlists from the top menu and choose New Playlist. To add items to the playlist, drag and drop them onto the name of your playlist on the sidebar. You can add podcast episodes, music, movies, and other video to a playlist. If you chose to have Miro search for media files during setup, the found video and music files will appear in the Audio and Video Libraries. Select Video or Audio on the sidebar to display them on the main panel. Simply click the Play button to play the media. You can add or remove folders that Miro should search for music in the Preferences. Unfortunately, it doesn’t let you add network folders. 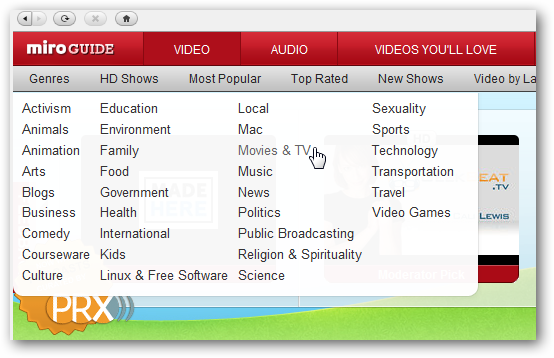 If you prefer to play your media with your default media player, right click on a selection and select Play Externally. The media will load in your default media player. You can also choose to have Miro playback content in an external player by default on the Playback tab in the Preferences. The Download tab allows you to configure the number of downloads and even fine tune how much bandwidth you’d like to dedicate to Miro. The Feeds tab allows you to select how often Miro will search for new content and whether feeds should be auto downloaded. The Folders tab allows you to choose folders that Miro will check for new video and audio files. 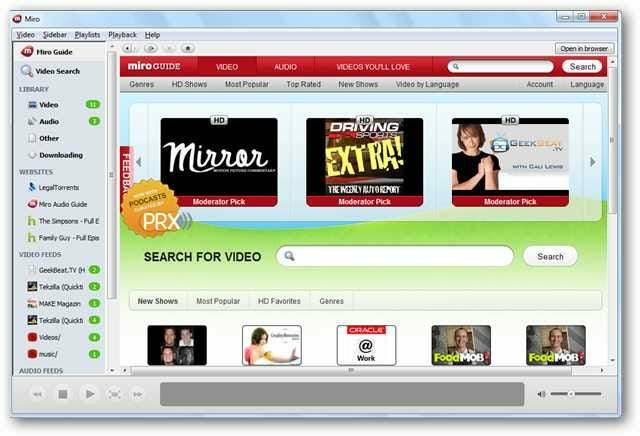 Miro is a versatile media player that can do the job of a handful of applications. 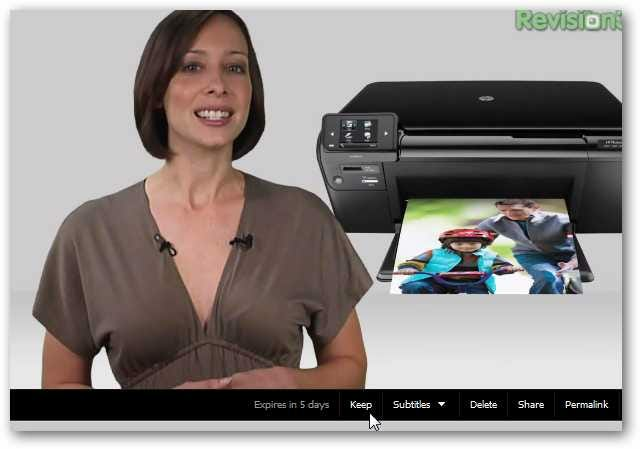 It’s current 3.0 version features vast improvements in speed and responsiveness over previous offerings. Miro is an ideal addition for anyone who can’t get enough Internet TV and wants an easy way to stay on top of the latest episodes.